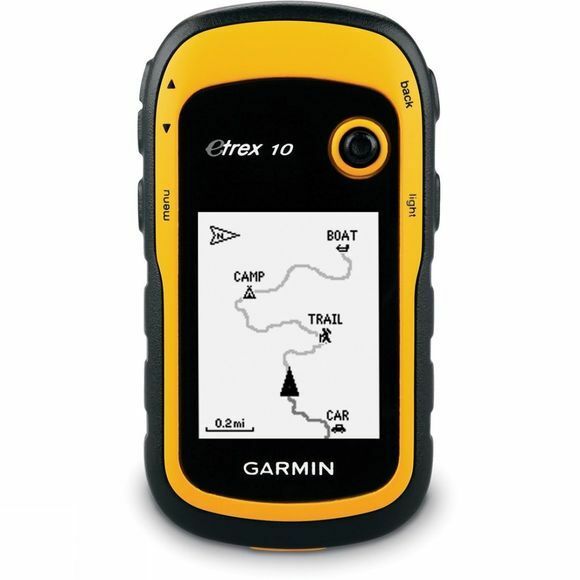 The eTrex 10 GPS from Garmin is the ideal unit for the first time users. It has a simple, fuss-free design that is rugged and easy to use. It can be operated with just one hand thanks to the well positioned buttons and has a clear, easy to read screen. It's bright yellow colour makes it easy to find at the bottom of your pack or in low light conditions and it has a water rating of IPX7 so it can take an accidental dunk in a puddle without coming to much harm. It is ideal for paperless geocaching, supporting GPX files so you can get the details straight to your unit. By going paperless you help the environment because you aren't using any paper but also it allows more freedom and fun with the geocaching activity itself because you don't have to spend time manually entering coordinates or handling paper print outs. Garmin products are world renowned for their accuracy, durability, build quality and attractive design. For more than 25 years Garmin has pioneered new GPS navigation and wireless devices designed for people who live an active lifestyle. From Garmin’s roots in aviation and marine, where accuracy is critical for safety, Garmin is now a household name. Garmin products are as diverse as activity trackers, sport watches, outdoor handhelds, cycling computers and sat navs, all made to enhance customers’ lives. For athletes and outdoor adventurers, Garmin fēnix® 5 Plus is the high-performance way to beat yesterday and bring your maps and music along. This rugged, premium-crafted multisport GPS watch features colour TOPO maps with Trendline™ popularity routing, so you can find and follow the best paths. It can store up to 500 songs for phone-free listening and includes wrist-based heart rate, smart notifications and the Garmin Pay™ contactless payment solution.